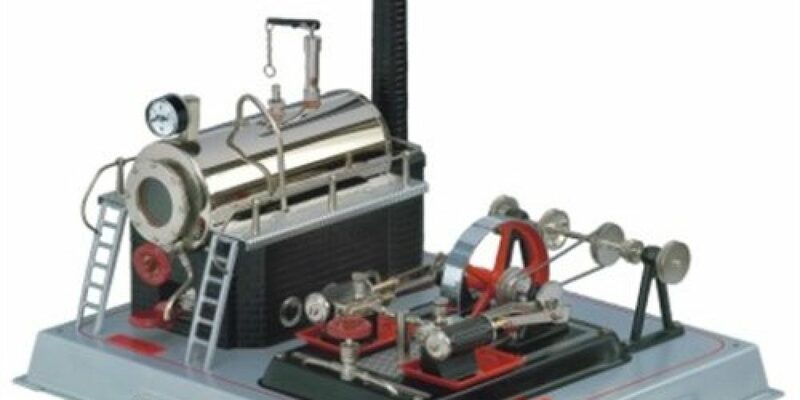 Stationary steam engine enthusiasts are going to love the twin-cylinder Wilesco D22, a complete model that is the fastest in the entire Wilesco collection. Equipped with a base mounted countershaft and with a highly decorative finish, this is a super-efficient engine and one that the hobbyists among you will adore. 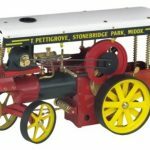 The history of steam engines is certainly fascinating and this model is an engine that an industrial Victorian factory might have used. When running you can just imagine the many workers that would have to operate this engine. 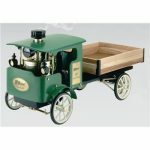 The Wilesco D22 is definitely a great educational tool and a way of introducing the history of steam engineering to children. 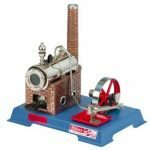 Ideal for steam engine enthusiasts or as an educational tool for children, the Wilesco D22 is one of the most powerful stationary model steam engines around and can power almost any accessory set-up. Do be advised, however, that any children using this model should be supervised by adults and young children, in particular, should not be left alone to play with the engine. With a silver/black finish and a brass boiler with a nickel-plated finish, the Wilesco D22 is certainly beautiful to look at. 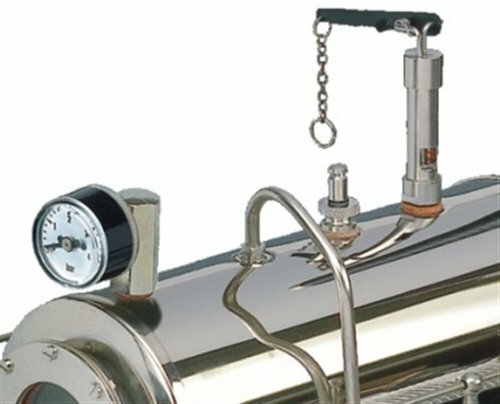 It certainly runs beautifully too, with its self-starting twin-cylinder steam engine and countershaft that is base mounted. In fact, since Wilesco discontinued the D32 more than 30 years ago, this is their only two-cylinder model. 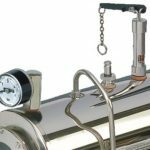 Other features of this powerful and efficient stationary steam engine include a safety valve, water drain valve, a pressure gauge and a hand wheel shut off. Mounted on a sturdy metal base, this model is one of the larger models in the Wilesco catalogue with measurements of 35.5 x 30 x 20cm. With a weight of 2.8kg, it is also one of the heaviest in their range as well. The Wilesco D22 is a self-starting model, so there is no need to turn over the flywheel manually. Once it starts to generate steam, you just turn the steam valve and away it goes. 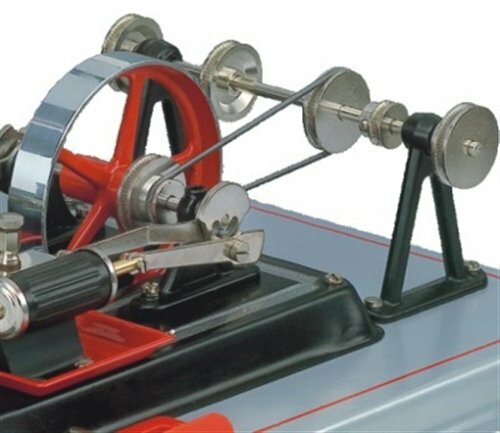 With a beautiful sound as the engine ticks over, there are not many other stationary engines that can offer the same satisfying hum as the D22. 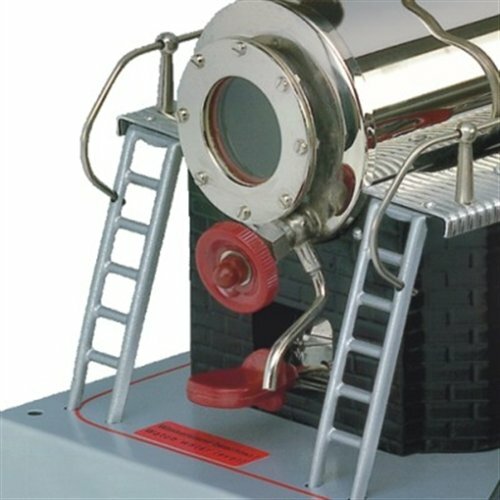 There are a number of accessories from Wilesco that you can connect and power from this steam engine – further adding to the educational and aesthetic nature of this highly efficient and powerful model. 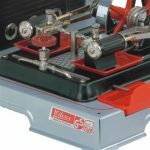 Compatible with Wilesco products such as street lights and drilling machines, there is no end to the fun that can be had with the twin-cylinder engine. Without a doubt, this beautiful model is one of the best that Wilesco has produced. In fact, most avid collectors will tell you that no collection is complete without a Wilesco D22. 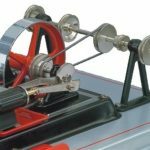 Whether you are a hobbyist or want to educate your children on the history of engineering, the D22 is certainly an option you should consider.